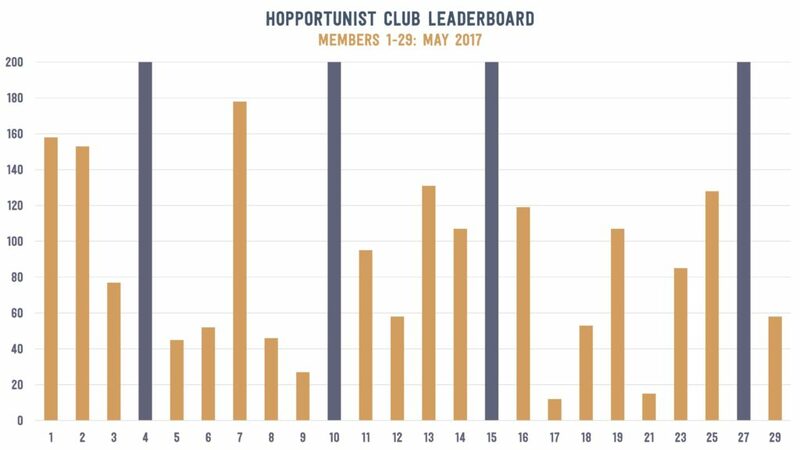 Feeling the pressure of another year coming to a close, the total number of liver busting members nearly doubled with six more Hopportunists achieving bicentenary status in May. 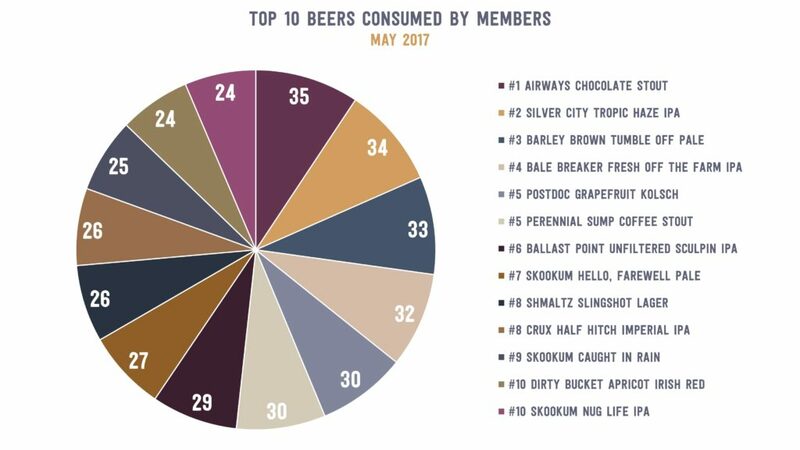 Members #15, #27, #43, #51, #64, and #66 combined to drink 148 unique beers! Check out the charts below for the full results through May 31, 2017. Member #35’s affinity for dark beers helped push Airways Brewing’s Chocolate Stout to #1 last month. 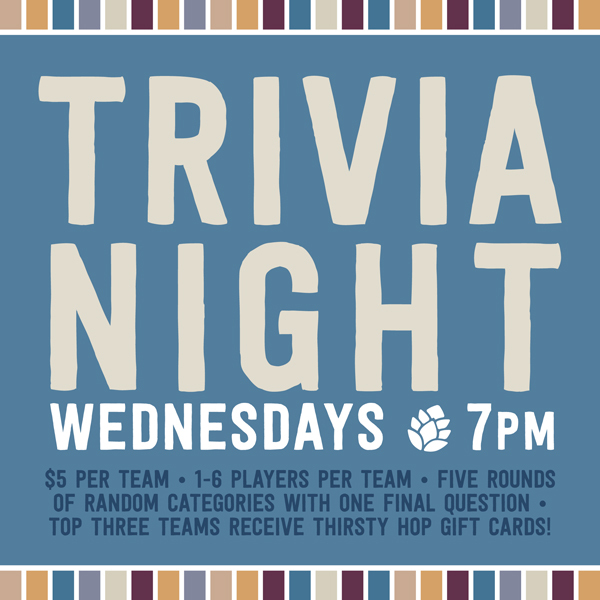 Although Silver City’s Tropic Haze missed the #1 spot, it was the winner of our second annual IPA challenge event during Seattle Beer Week. The hazy IPA beat out some tough competition from Fort George, Skookum, Ballast Point, and Knee Deep. Check out the pie chart below for the complete top 10. 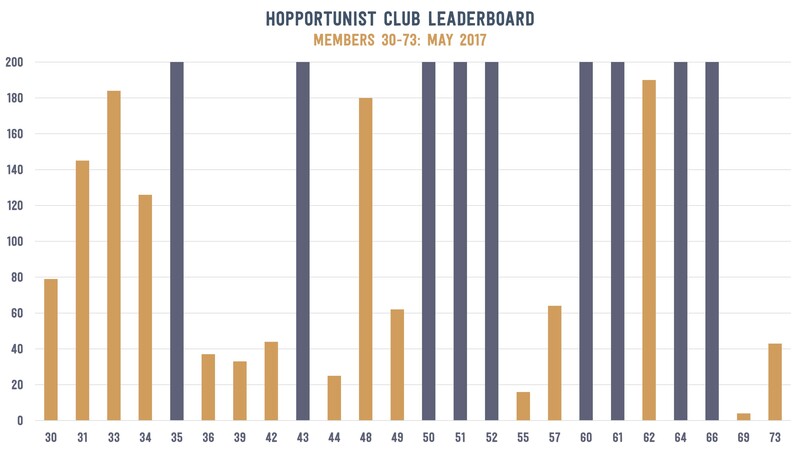 Overall, members have saved an average of over $160 in discounts with their membership and over two-thirds of all Hopportunists have saved more than their membership fee. For the data geeks among you, click the link to interact with the savings data – Total Savings Workbook.